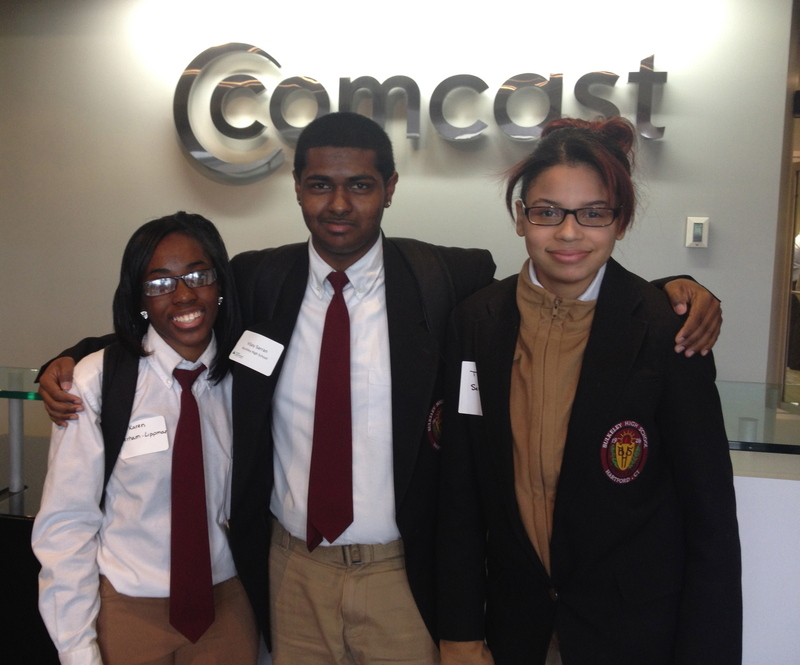 On April 29, three of our Jr. Apprentice students were invited to participate in a Job Shadow Day at Comcast. During the day, students heard from elected officials and senior administration at Comcast, met one-on-one with a Comcast professional to get career advice, toured the regional headquarters and were treated to a delicious breakfast and lunch. Check out the press release about the event! Previous Jr. Apprentice visits our students at work! Next Congratulations to our Jr. Apprentice Graduates!